Top 30 Prospects, Post-2015 Edition – …and One More! After finishing the top 30 prospects, I like to take a look at guys who are the next man in at their respective positions. These guys could break into the Top 30 by the time I do a preseason list or by midseason. Probably more likely, they have a good chance of never getting beyond this list, but hey, that’s the nature of prospects. If you missed a previous ranking, click the navigation above. For these players, I won’t use grades. RHP – Matt Custred – You don’t often see 31st rounders impress, but the Texas Tech product quickly became a name to watch this season. He spent most of the season with Danville and K’d 45 in 31.2 ING with the Braves there. When you add his nine walks, that’s a 5/1 K/BB ratio and while math’s hard, that’s easy to get excited about. But Texas Tech bullpen catcher Brooks Gustafson could have warned us of that. “Custred, he’s just nasty. Everything he throws is hard and just moves a lot.” Gustafson tried to avoid catching Custred if he could because of his skill set on the mound. LHP – Brady Feigl – During spring training, Feigl became such a topic of discussion that an intro into Feigl I wrote became one of my most-read articles of 2015. Undrafted and retired, Feigl gave competitive pitching another shot and it resulted in a contract and a 2014 season where he had over 4 K’s to each walk at A-ball. He was off to a great start in winning a surprise spot out of the pen this spring, but struggles late led the team to search for the problem. They found it and Tommy John surgery took Feigl away for the season. 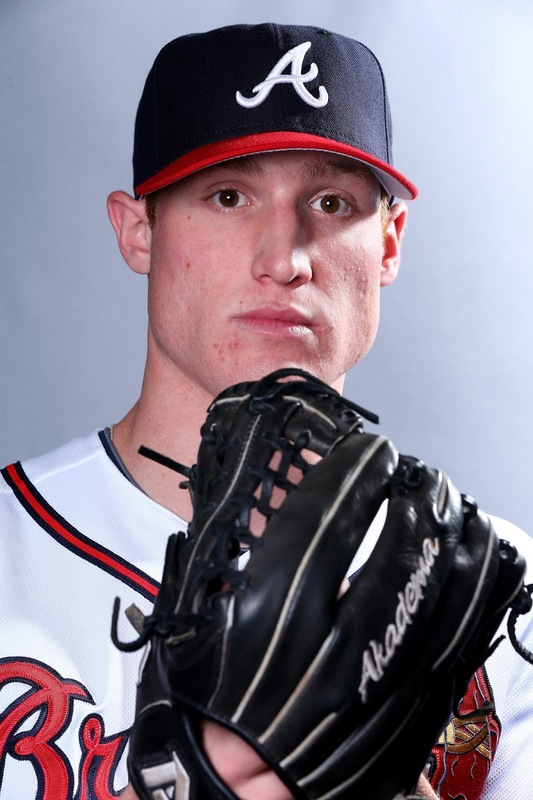 He’ll likely miss the start of the year and will need rehab time in the minors, but don’t be surprised if Feigl is an early summer addition to the Braves’ bullpen. C – Tanner Murphy – No position took a step back more than catcher this season and Murphy was not immune from the trend. A year after slashing .242/.361/.389 with Danville, Murphy slumped to a .193/.277/.312 line in 2015 as a member of the Rome Braves. The former 4th rounder did hit 7 homers, which is at least something. With Jose Briceno stalled in front of him and Lucas Herbert trying to get back on track after missing most of his first season, Murphy won’t have much more time to get going before he becomes yesterday’s news. 1B – Anthony Concepcion – Pickings are slim at first base, though that’s not too abnormal. You could go with Jake Schrader here, but I’m going with someone else mainly to change things up. Neither is a big prospect and Concepcion was old for the Dominican Summer League last year, but the 1B/LF did have a .861 OPS in 68 games with an eye-opening .410 OBP. 2B – Omar Obregon – A switch-hitter out of Nicaragua, Obregon has played shortstop almost as much as he’s played second base so far. This year, his first above rookie ball, he hit .274 with a .336 OBP. Smooth defensively, he’s a bit of a trainwreck on the basepthes and was caught in 19 of his 50 attempts. He’s a long-shot and likely just minor league filler. SS – Emerson Landoni – Can a 26 year-old utility guy who has spent the last year-and-a-half in Mississippi be a prospect? Probably not, but I’m scraping the bottom of the barrel here. Landoni joined the Braves after the Yankees gave up on him following the 2011 season. Since then, he has served as a useful bench bat who provides depth to the lineup. Last year, Landoni received 443 PA with the M-Braves and hit .297. To this point, he has played all four infield positions, LF, and even got a win as a pitcher during the 2011 season. 3B – Carlos Franco – Hard to get too bullish on Franco, who exceeded his previous output by a noticeable margin in 2015 and even with that in mind, he hit .254/.347/.403 with 11 HR. Still, the Braves placed four 3B in my top 30 so this position does have plenty of depth as is. OF – Leudys Baez – Yet another member of the aggressively-pushed youth that the Holy John Trinity brought in after Frank Wren was let go, Baez opened his career by posting a .311/.331/.473 line in 33 games with Danville. A push to Rome was likely premature and Baez struggled as a result. He’s got great athletic ability, but has to learn to take a walk (just six in 267 PA). OF – Ronald Acuna – A younger speedier version of Baez is Acuna, who opened the season as a 17 year-old in the Gulf Coast League and finished with an 18-game run with Danville where his numbers only improved. Overall, he hit .269/.380/.438 with 4 HR and 16 steals in 55 games. Expected to have the ability to stick in center, Acuna is a right-hand hitting option to keep an eye on. OF – Connor Lien – While Lien didn’t exactly make a big splash compared to his 2014 numbers, he did hit .285 with 9 HR and 34 steals while displaying a rocket arm that scared many a Carolina League runner into submission. One of my bubble guys who just missed the Top 30, Lien has a few issues that may sidetrack him from becoming a major league player. Namely, he strikes out a ton and walks very little. Nevertheless, his numbers have improved each season since making his debut in 2012 in the Gulf Coast League. If that trend continues in Mississippi, it might be time to consider Lien more.